Home/Investigators and Research Centers/Investigators/George Patounakis, M.D., Ph.D.
Dr. George Patounakis, MD, PhD, FACOG is an attending physician at Reproductive Medicine Associates of Florida where he serves as medical director and Assistant Professor at University of Central Florida in the Department of Obstetrics and Gynecology. He received his B.S. in Electrical Engineering with highest honors from Rutgers University’s College of Engineering. He then earned his Masters of Philosophy and Masters of Science in Electrical Engineering at Columbia University before receiving his doctorate in Electrical Engineering with Distinction. His doctoral thesis work was on low-cost integrated DNA microarray platforms, which resulted in a U.S. patent. Dr. Patounakis received his M.D. from Rutgers – Robert Wood Johnson Medical School and earned numerous academic excellence awards in addition to the Stanley S. Bergen Medal of Excellence, which was the school’s highest student honor. He completed his internship and residency in OB/GYN at Thomas Jefferson University Hospital where he served as Administrative Chief Resident. 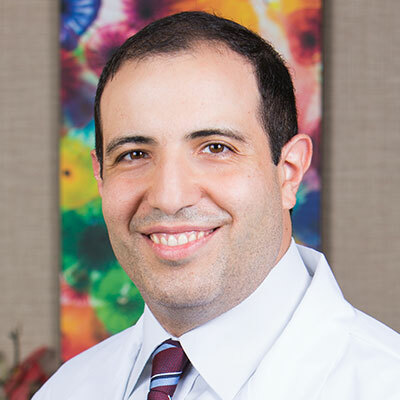 Dr. Patounakis pursued his fellowship training in Reproductive Endocrinology and Infertility at the National Institutes of Health in Bethesda, Maryland. While at the NIH, his research focused on cholesterol transport in steroidogenic cells using live-cell microscopy, IVF outcome predictors, and genetic influences on infertility. Dr. Patounakis has authored and contributed to numerous peer reviewed publications in both the fields of engineering and medicine. He serves as an Ad Hoc Reviewer for the Journal of Assisted Reproduction Genetics and Fertility & Sterility. He has also authored the chapter on gonadal dysfunction and fertility preservation in the widely used oncology textbook DeVita, Hellman, and Rosenberg’s Cancer: Principles & Practice of Oncology. His research interests include statistical modeling of IVF cycles, diminished ovarian reserve, and fertility preservation. Fertil Steril. 2019 Jan 2. pii: S0015-0282(18)32204-0. doi: 10.1016/j.fertnstert.2018.11.009. [Epub ahead of print] No abstract available. Complexities and potential pitfalls of clinical study design and data analysis in assisted reproduction. Curr Opin Obstet Gynecol, 30(3):139-144, 2018. Does premature elevated progesterone on the day of trigger increase spontaneous abortion rates in fresh and subsequent frozen embryo transfers? Revisiting the progesterone oocyte ratio. Is the effect of premature elevated progesterone augmented by human chorionic gonadotropin versus gonadotropin-releasing hormone agonist trigger? Does a frozen embryo transfer ameliorate the effect of elevated progesterone seen in fresh transfer cycles? Eur J Obstet Gynecol Reprod Biol., 164:116-7. 2012.